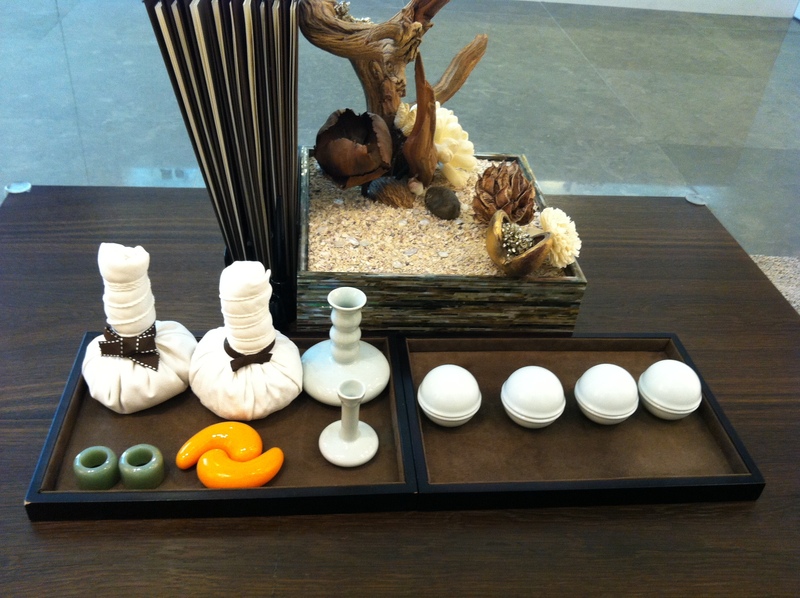 A must-visit when you are looking for a pampering session in Seoul. The weather was freezing by the time I left the city. The days before that were rainy and windy too. Tired of walking around in the cold, I gave hubs a treat at the Sulwhasoo spa. Sulwhasoo is a premium brand in South Korea and is supposedly the No.1 beauty label there. Its specialty is in the use of traditional Korean herbs and techniques to rejuvenate the skin. The Ginseng cream is one of its bestsellers. Anyway, I was surprised to find out that for such a famous brand, there is only one Sulwhasoo spa in Seoul, one in Hong Kong, and a third one opening in Singapore, as the therapist had told me. 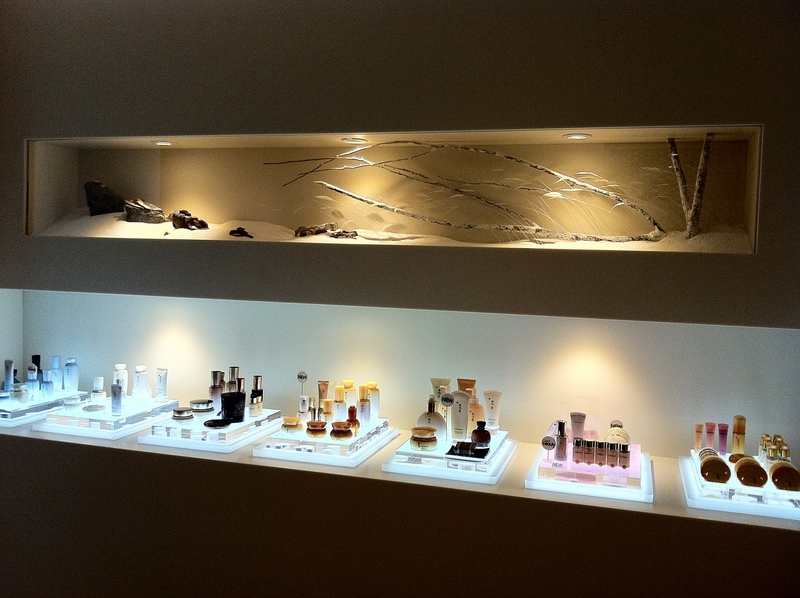 Here’s a peek at the small but cosy spa located at the 4th floor of Lotte Department Store at Jamsil. Here’s the brand’s full range of products available for you to sample before and after the treatment. Here’s the range of traditional tools that the therapists will use in some of the treatments. They will be used heated or cold and applied on the skin. The green mini vases are porcelain I think (well, there was a bit of a language barrier). The orange pieces are amber, and the pale green rings are jade. Because he had a breakout made worse by how he loves to pick on his face, the therapist advised him to go for the sensitive skin treatment to deal with his “trouble” skin. Then he got to choose the oils that he liked. It will be the main scent used throughout the treatment. There was a choice of pine tree, sandalwood, “old tree”, and apricot oils. Hubs went for sandalwood and I went for apricot. Incidentally, both helps to relax the senses. I chose the lifting and firming treatment that made use of warm amber and cool jade on the skin. The facial – which did not include extraction – was just about massage, and layers and layers of serums and masks. It also included a leg, shoulder and head massage. I was glowing by the time I left the spa, and my body felt super relaxed. The redness on Hubs’ skin was also reduced, and he thoroughly enjoyed the massage. “It met my high expectations”, said the picky one. The bill totalled up to be 300,000 Korean won for two treatments that were 80min each.